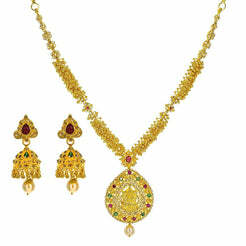 Peacock Diamond Pendant Necklace & Earring Set in 18K Gold W/ 4.51CT Round Diamonds for women. 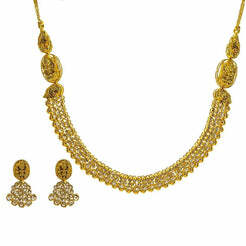 This occasional jewelry set comes with an open pattern design that features a peacock frame set with sparkling diamonds and topped with a drop pearl accent. It comes with matching earrings. 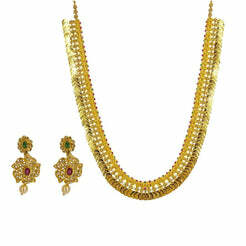 Gold weight is 53.1 grams.